This trend is the result of global warming from burning fossil fuels such as oil, gas, and coal. The warming has gotten faster too. 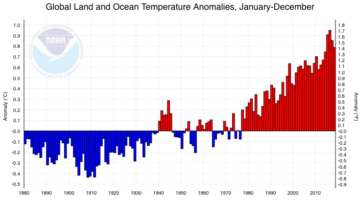 The National Oceanic and Atmospheric Administration (NOAA) found that land and ocean warming since 1981 has been more than twice as fast as the overall average, including the late 19th- and early-mid 20th century. 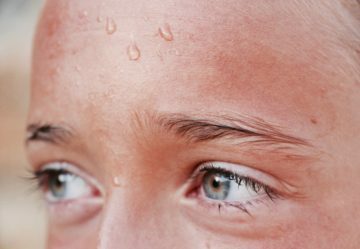 While new global high temperature records were set about every 13 years during the span of 1880-1980, since 1981, new global high temperature records have been set every 3 years on average. In the United States, 2018 was the 14th warmest year on record and had 14 separate billion-dollar weather and climate disasters. In total, these hurricanes, wildfires, and other storms killed at least 247 people and caused $91 billion in damages. 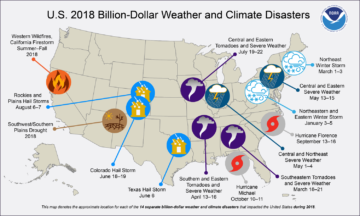 In the Southeast, the most notable weather and climate disasters of 2018 were Hurricanes Michael and Florence, which caused $25 and $24 billion in damages, respectively. Hurricanes and wildfires are made worse by global warming. To avoid the worst impacts of climate change, we must quickly phase out fossil fuels and transition to a clean energy economy. This will mean continued progress in both the power and transportation sectors. The Southeast has made strides toward this end in recent years (for instance with dramatic growth in solar power), yet this progress represents just a fraction of what needs to be done in the coming years. The International Panel of Climate Change report published last fall stated that in order to limit global warming to 1.5 degrees Celsius, global carbon pollution will need to be reduced by about 45 percent from 2010 levels by 2030, and reach ‘net zero’ around 2050. SACE continues to fight for clean energy solutions that will help usher in this new clean energy economy, leading to a more prosperous economy, sustainable environment, and higher quality of life for generations now and into the future.